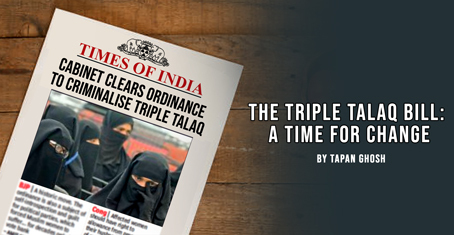 Khush: Today’s newspaper says that the Triple Talaq Bill will be a game-changer for Women’s Empowerment in India. Sadly, it has run into opposition in the Rajya Sabha. Harry: Why? What’s the problem? Let’s first understand the full implications of the Bill. It is necessary to know what it proposes. Khush: The Bill makes the pronouncement of talaq-e-biddat void and illegal. The pronouncement could be by words, either spoken or written or in electronic form or in any other manner whatsoever. Any man doing so is liable to be punished with a jail term of up to three years and a fine. Further, it makes the pronouncement of talaq-e-biddat a non-bailable offence. Harry: Furthermore, the Bill aims at putting an end to the instant and irrevocable nature of marital ties which form a bedrock of human relationships. The Bill proposes that the woman upon whom talaq is pronounced will receive an allowance from her husband, and retain custody of her children. Khush: Opposition parties have objected to the clause that provides for a jail term, arguing that it could further strain ties between the principal parties and diminish the ability of the husband to provide sustenance while serving a jail term. Opposition from community leaders is based on the premise that the Bill impinges on practices sanctioned by religion and which have been followed for centuries. As a counterpoint, it may be said that 22 Islamic countries have already banned the practice of triple talaq. Harry: The Bill is a landmark development in empowering women. The institution of marriage must be based on the principal of equality between the two partners. Any practice that puts one in a position of advantage over the other is clearly out of step with the times. More so in a democratic country like India where the constitution treats every citizen as an equal. 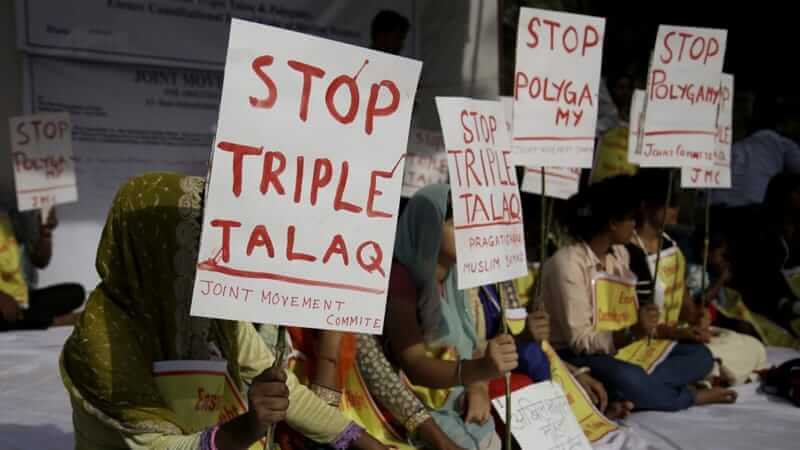 Triple talaq impinges on women’s individual rights and shuts out room for discussion and resolution. Khush: It’s time to be in step with the times.